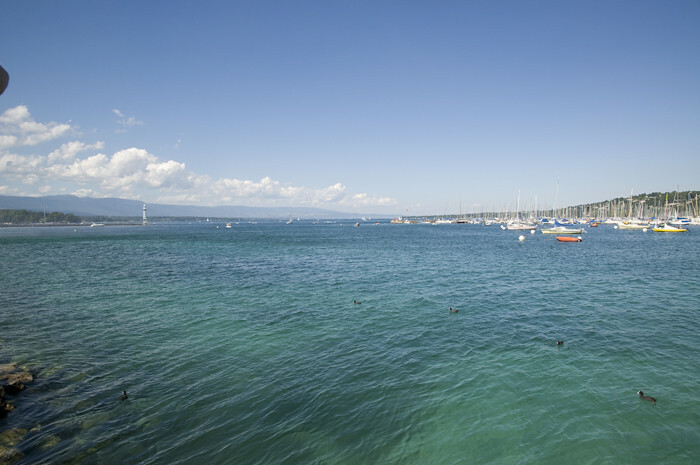 Our next stop was Geneva, Switzerland. The train ride from France to Switzerland had the most beautiful landscapes I've ever seen in my life, it looked like some ideal painting. I told Carleton I'd love to stay in southern France in a place like that, he informed me that it's probably 50 miles to the nearest grocery store or anything else. Darn, maybe not. 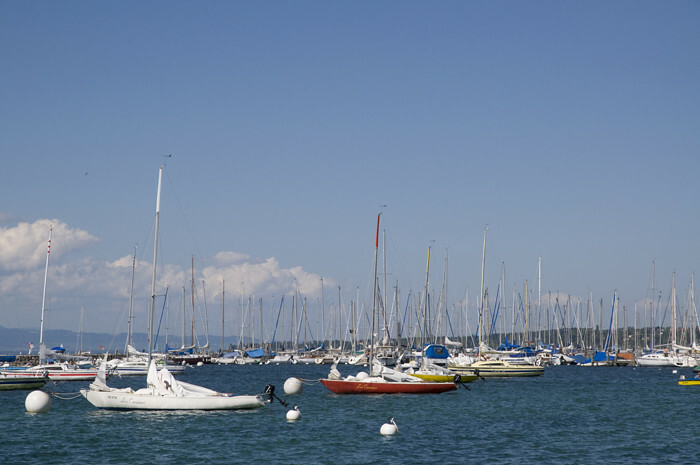 We only spent a day in Geneva (it is quite expensive) but we saw a good bit and had a taste of some typical swiss foods. 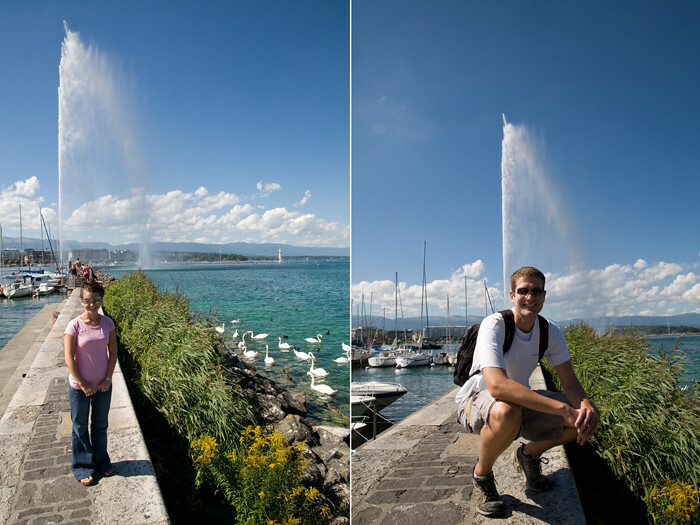 We walked all over downtown Geneva and sat on the water's edge feeding the swans and ducks while enjoying the beautiful scenery and cool water on our feet next to Geneva's most famous monument, the Jet d'eau, which is the world's tallest water fountain. 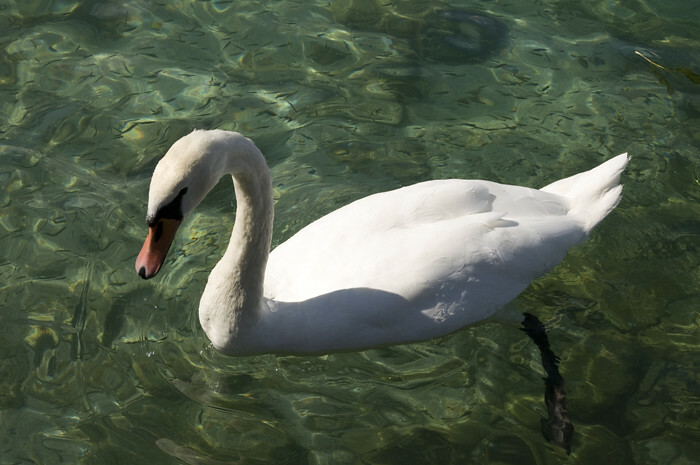 The water was beautiful and with the swans and boats it was very picturesque. I had no idea swans were so big, or maybe it's just something in the water there, because I'm pretty sure I've seen swans in real life before and they weren't that big. Can you see all the little fishies in there too? Our hotel was REALLY nice, the swiss know how to make comfortable beds and everything that goes on them! We wish we could've had that as our hotel everywhere we went.